Is Joseph Naso, suspected Calif. murderer, the "Double Initial" serial killer? 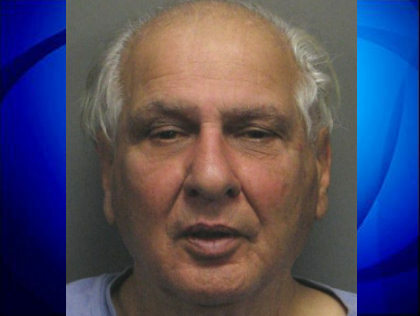 (CBS/KCBS) SAN RAFAEL, Calif. - A Bay Area prosecutor said Tuesday that he plans to seek the death penalty for suspected 77-year-old serial killer Joseph Naso, accused in four cold-case murders in Northern California dating back over thirty years. But an oddity in the victims' names also has investigators in New York wondering if Naso is responsible for the so-called "double initial" murders in that state. Roxene Roggasch. Carmen Colon. Pamela Parsons. Tracy Tafoya. Authorities in California believe Naso murdered those four women from 1977 to 1994. According to CBS affiliate KCBS, three girls murdered in upstate New York in the early 1970s all had matching initials for their first and last names, as did the four California victims. Naso was scheduled to be arraigned on four counts of murder in Marin County Superior Court on Wednesday afternoon. He remained held in the Marin County Jail Tuesday without bail. Naso was arrested by Marin County sheriff's deputies Monday when he was released from the El Dorado County Jail in South Lake Tahoe where he was serving time for violating his probation following his conviction on a theft charge. He is suspected of killing Roxene Roggasch in Marin County in 1977, Berberian said at a news conference Tuesday. Roggasch was murdered in the area of White's Hill near Fairfax. Investigators believe Naso also killed Carmen Colon in Contra Costa County in 1978, Berberian said. Strangely, authorities said one of the New York victims was also named Carmen Colon. The two other Northern California victims, killed in Yuba County in 1993 and 1994, were Pamela Parsons and Tracy Tofoya, the district attorney said. Investigators indicated that they found evidence during a random probation search of Naso's Reno, Nevada, home last year that linked him to the four killings California. Berberian said the case began to develop further in April, when Novato police came across additional information linking Naso to the murders. A separate task force is looking into whether any other cold cases in the U.S. can be linked to Naso, a professional photographer who often traveled the country for work and may have killed in other states, Nevada law enforcement officials said at a news conference Tuesday.